The SIP Protection Hi-Vis Chainsaw Sleeves are protective sleeves that wrap around the entire circumference of the forearm and elbow for 360° protection. 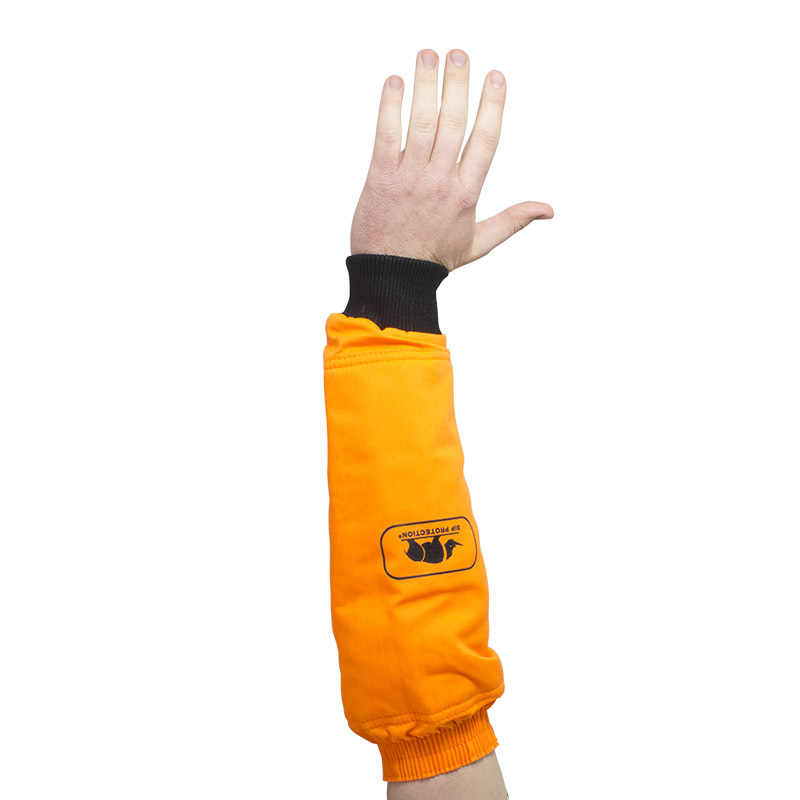 With elasticated, ribbed cuffs that keep the sleeves securely in place and a fluorescent orange colour scheme for greater visibility, the SIP Protection Chainsaw Sleeves provide superior protection for a wide range of forestry practices. 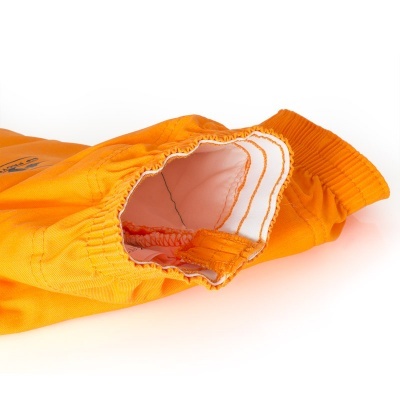 The SIP Chainsaw Sleeves each contain an inlay consisting of six layers of protective material. This inlay wraps around the entire forearm and elbow for 360° protection against the chainsaw blade and any flying debris. The SIP Protection Chainsaw Sleeves are fluorescent orange in colour to increase their visibility. This feature enhances safety when the sleeves are worn for applications in dark, dim or foggy environments. These sleeves have elasticated, ribbed cuffs at both the wrist and the elbow. These cuffs hold the sleeve securely in place to prevent it from slipping down the arm, as well as shield the arms against flying particles during forestry. 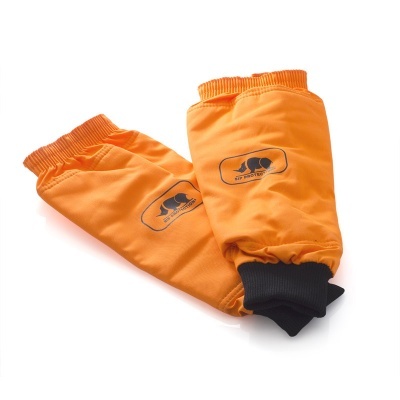 The SIP Chainsaw Sleeves can be washed to keep them clean and potentially extend their life. The sleeves should be machine-washed at 60°C and air-dried. The sleeves can be ironed, but should not be bleached, tumble-dried or dry-cleaned.